bluffton-self-storage-gets-town-approval - Bradshaw Group Ltd. 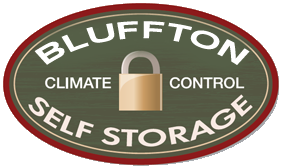 The Bradshaw Group Ltd. recently opened Bluffton Self Storage, located at 12 Oliver Court, just off the Bluffton Parkway. An upcoming "Grand Opening Event", will soon be announced. Jim Bradshaw believes his new development may be the most unique one in town for a variety of reasons. Bluffton Self Storage on Oliver Court, off Bluffton Parkway near its intersection with Simmonsville Road, is now open after Evans and Bradshaw, LLC was granted a certificate of occupancy March 25. Construction is nearing completion on the first phase, which will include 17,500 square feet of standard storage space, an additional 14,350 square feet of climate-controlled, air-conditioned storage space in a two-story building and parking for RVs, boats, trailers, trucks and cars. The 4.2-acre site also includes an office building where the group is operating a U-Haul Neighborhood Dealer business. At full buildout, which will occur in three phases, the complex will cover 6 acres and have 76,800 square feet of storage space, 48,500 of which will be climate-controlled, making it the largest self-storage development in Bluffton, Bradshaw said. Customers will have 24/7 access to the complex, which is uncommon, location manager Ryan Krivit said, adding the units will have vandalism-proof, high-definition cameras and the parking lot will have LED lighting. “With that amount of lighting, the cameras will be able to pick up color on objects,” Krivit said.